God said to him, "Your name is Yaacov. Your name shall no longer be called Yaacov, but Yisrael shall be your name." And He named him Yisrael. 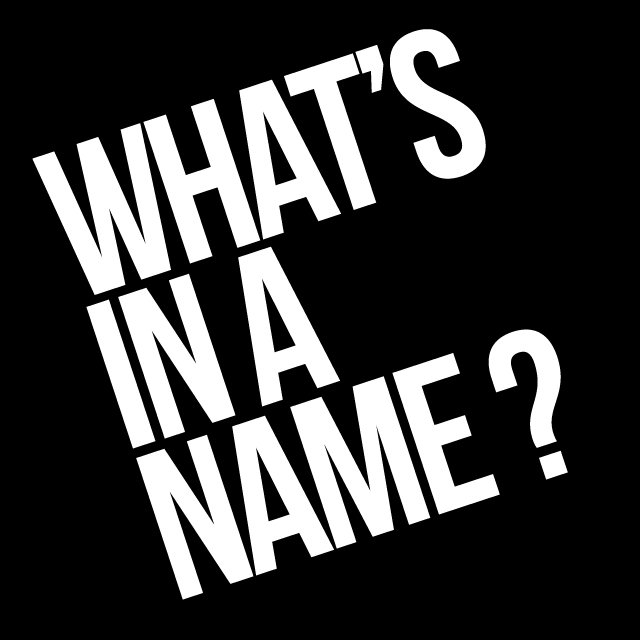 Name changing has occurred on several occasions in the Torah. The most famous is the interaction with G-d and the couple, Avram and Sarai, permanently changing their names to Avraham and Sarah. So how does this compare to the episode in this week's parshah, where G-d 're-brands' Yaacov as Yisrael. Has G-d permanently uprooted the name of Yaacov? Asks the Or HaChaim Hakadosh, what is different by Yaacov from Avraham. By Avraham we learn that calling him Avram is a transgression, but this is not the case by Yaacov. "Your name shall no longer be called Yaacov, Israel shall be your name." This does not mean that the name Yaacov shall be obliterated, but that Yisrael shall be the principal name and Yisrael a secondary one. This differs from nature of how Avraham is renamed. There is agreement in Mesechet Brechot that Avraham's name change is permanent and to the core, but opinions differ as why. What is the significance of this name change? Why go so far to debate why this identity must be changed? The Gemorrah explains the essence of changing Avram to Avraham. His very essence was overturned. Where the legacy of Avraham, as the progenitor to world monotheism and the forefather of the Jewish people, was established, unequivocally. Avram was someone else, from the past. Avraham supplanted the entity of Avram completely, taking on a new role and a powerful legacy. The question is, why keep Yaacov? Wasn't the new identity meant to appeal to the a new legacy, especially on a national level - "a nation and a multitude of nations shall come into existence from you, and kings shall come forth from your loins"? What strength remained in the name of Yaaacov? At the time of the birth of Yaacov, The Netivot Shalom asks, how can he be named Yaacov. The name comes to mark a singular, fleeting event of seemingly minor significance. And afterwards, his brother emerged, and his hand was grasping Esau's heel, and he named him Yaacov. Now Yitzhak was sixty years old, when she gave birth to them. Why should Yaacov's entire character be defined by this event. How can this episode establish the identity of Yaacov? This means - Sanctify yourself in that which is permitted. This parshah comes to attest to the fulfillment of this injunction. And Yaacov came complete [to] the city of Shechem, which is in the land of Canaan, when he came from Padan aram, and he encamped before the city. The commentators describe the meaning of the word complete (שלם) as meaning that, not only is he complete and whole on a material level, bu that his soul has come through unscathed. We learn from this the dual identity of Yaacov/Yisrael not only has special significance for the Jewish people as a whole, and for us as individuals. The concept of KEDUSHAH is embodied in Yaacov while the aspect of EMUNAH is upheld by Yisrael, where the source of faith is in the head, while also coming to mirror the forms of worship of LOVE and FEAR. In his lifetime, Yaacov was confronted with the darkest of places and people, from his experiences with Esau at home, to spending over 20 years with Lavan. Throughout this Yaacov remains true, straight and comes to serve as a model for how to deal with the struggles of this world. The essence of the name Yaacov, as described by The Netivot Shalom, conveys to us the principle for how to confront the challenges and doubts of the world that encroaches around us today: sanctify yourself in that which is permitted!